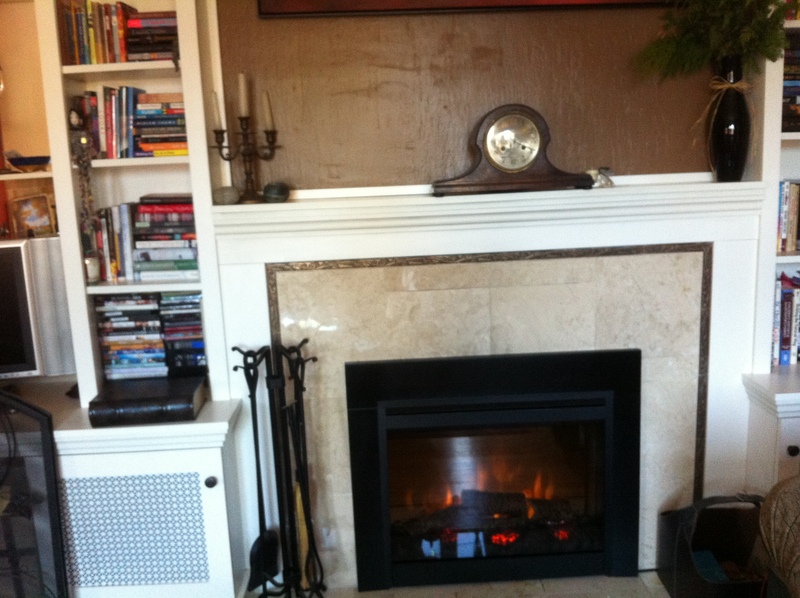 Here’s my new electric fireplace…It fits right into the old wood fireplace which was so cold and drafty. And it didn’t require a change in the fireplace surround or mantle. It just plugs in! I’m going to be so toasty while I work on my novel on my laptop on my comfy couch with a fresh cup of tea. Life is good.